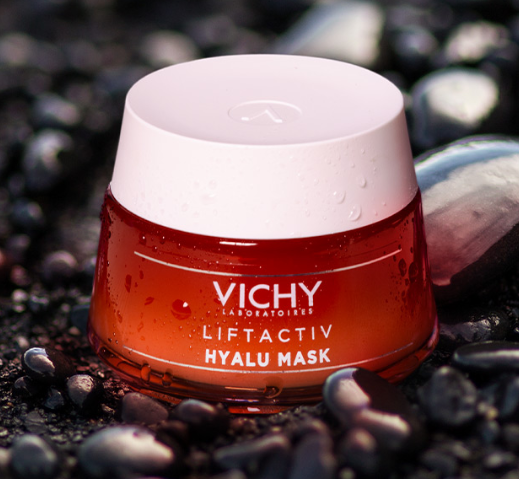 Vichy Laboratories is the nº1 most trusted skincare brand in Canadian drugstores. It offers the best treatments in anti-aging, anti-acne, hydration, and complete routines with cleansers, serums and moisturizers. Efficacy clinically proven by dermatologists. Cannot ship orders containing Hazardous Materials (sprays-alcohol) through Xpresspost or Priority service. Orders containing hazardous materials will be shipped through Expedited service. Long-Weekend Special! Select your exclusive 5-Piece gift today on orders of $60+ at Vichy Canada! Make sure to apply coupon code at checkout. 1 LIMITED-TIME OFFER: Between 00:00:01 a.m. ET on March 21 and 23:59:59 p.m. ET on April 25, 2019, get 50 AIR MILES® Bonus Miles when you make an eligible purchase of $100 or more, excluding shipping, duties and taxes, in a single transaction, through airmilesshops.ca at participating online stores. One Bonus Offer per Collector Account. Collectors must sign in at airmilesshops.ca before purchasing in order to get Reward Miles and qualify for this offer. Offer can be combined with other Bonus Miles offers. This offer does not apply to purchases or sign-ups made at the following online stores: eHarmony, Wealthsimple, Weightwatchers, and any travel online stores (including, but not limited to, travel bookings, car rentals, and hotel stays). This offer is valid on the purchase of gift cards only at online retailers who regularly offer Reward Miles on gift card purchases. See airmilesshops.ca for details. All online stores are subject to change and may be withdrawn at any time. Please allow up to 75 days after the Bonus Offer end date for Bonus Miles to be posted to Collector Account. ®™ Trademarks of AM Royalties Limited Partnership used under license by LoyaltyOne, Co. Partner trademarks are owned by the respective Partner or authorized for their use in Canada. *airmilesshops.ca Base Offer: Get 1 AIR MILES® Reward Mile for every $20 CDN that you spend per transaction per online store excluding shipping, handling, duties and taxes. Base offer may vary, click “Store Info” on online store logo on airmilesshops.ca for offer details. All online stores are subject to change and may be withdrawn without notice at any time. Collector must sign in at airmilesshops.ca before purchasing in order to get Reward Miles. Reward Miles will be posted to your Collector Account within 60 days. **airmilesshops.ca Multiplier Offers: LIMITED TIME OFFERS. AIR MILES® Reward Miles multiplier offers apply to the total base Reward Miles earned on qualifying purchase amount excluding shipping, handling, duties and taxes. Online store offers are subject to change without notice. See specific online store on airmilesshops.ca for offer details and any restrictions. Bonus Reward Miles will be posted to your Collector Account within 75 days. Prices are not always in Canadian Dollars. Please refer to each individual online store’s page on airmilesshops.ca to determine what currency is being displayed. While we make every effort to assure the accuracy of product information, we do not assume any liability for inaccuracies. Product information including price, availability, sales tax, and estimated shipping costs are provided by the affiliated online stores. LoyaltyOne, Co. assumes no responsibility for the accuracy or timeliness of information provided by the affiliated online stores. Please check the individual online store websites to confirm the accuracy of the information provided. ****Earn twice when you use your BMO AIR MILES Mastercard to make qualifying purchases online through airmilesshops.ca [and enter your AIR MILES Number]. The amount of Miles you get depends on the earn rate offered by the AIR MILES Partner and the earn rate offered on your BMO AIR MILES credit card. ®™ Trademarks of AM Royalties Limited Partnership used under license by LoyaltyOne, Co. Partner trademarks are owned by the respective Partner or authorized for their use in Canada. Today only – celebrate our birthday and get 10x Miles at Lancôme, Kiehl’s and more! Terms and Conditions apply.